Your Bobcat Gator Blades are here! Choose among our selection of high quality G3, G5, and G6 gator blades. Gator Blades cut the grass into finer clippings so you can mulch more without worrying about clumping or emptying the bag as often. Plus your lawn will be able to decompose the grass faster and easier. 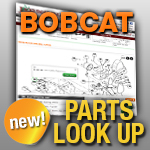 Find your new Bobcat gator blades below!